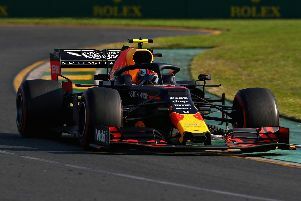 The 19-year-old will be sharing RB15 driving duties with Max Verstappen at the first in-season test of the 2019 F1 season. Ticktum has been a member of the Red Bull Junior Team since 2017 and following a successful 2018 season in the FIA Formula 3 European Championship, where he finished second, coupled with consecutive Macau Grand Prix victories. The youngster had been touted for a test last season but he did not qualify for a superlicence and missed out. For this season, Ticktum is driving in the highly competitive Super Formula championship in Japan. Ticktum will drive the car on Wednesday, taking over from Verstappen after the Bahrain Grand Prix this weekend.